All Hebron homes currently listed for sale in Hebron as of 04/23/2019 are shown below. You can change the search criteria at any time by pressing the 'Change Search' button below. If you have any questions or you would like more information about any Hebron homes for sale or other Hebron real estate, please contact us and one of our knowledgeable Hebron REALTORS® would be pleased to assist you. 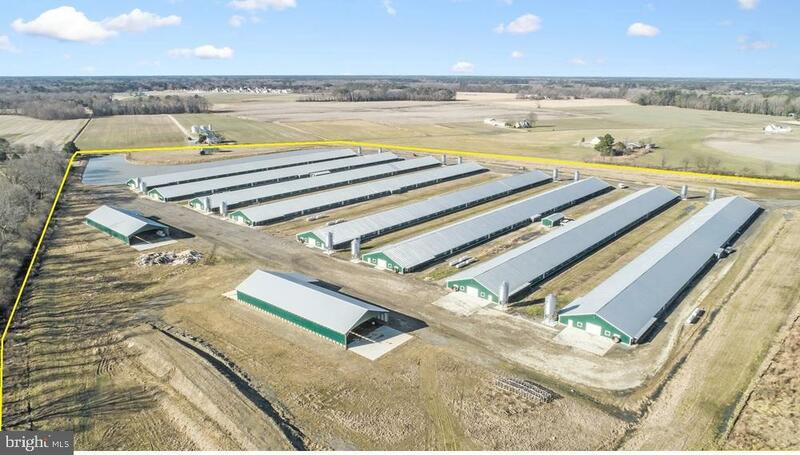 "New construction poultry farm with close proximity to Salisbury, MD - Growing for Perdue - Eight houses (7) 60x600 and (1) 60x560 - All houses were built between 2017 & 2018 by Northeast Ag - All Chore-Time equipment - Variable speed fans - Two John Deere generators - Two manure sheds 150x44 - New 3 bedroom 2 bath house with storage shed - Vegetative buffer complete - Current owner has run 5 flocks on houses 1-4 and 3 flocks on houses 5-8. Houses 5-8 still under construction warranty until June 22, 2019 ~ New house bonus money: +/- $360,000 (prorated based on date of purchase) ~ No upgrades required ~ Transferable LOI per Perdue approval of new grower - Seller willing to convey all brand-new farm equipment with a full price offer - Farm equipment includes Kubota Tractor with bushhog attachment, road leveler attachment, poultry blower attachment, sprayer attachment, zero turn mower, and backpack blower." "Poultry Farm with lots of Upgrades and so much more!!! Let the Farm pay the Bills while you enjoy this 2000 SF 3 Bedroom, 2 1/2 Bathroom Home with a Florida Room, In-Ground Pool and views of the Neighboring Creek and Woods! 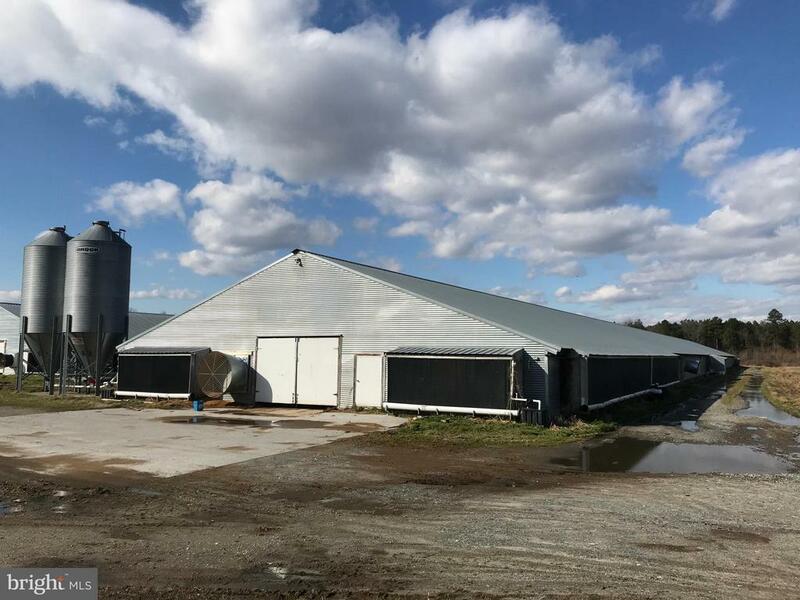 This farm offers lots of choices for the owners with 4 Updated Poultry Houses, Tillable Fields in the front, a potential pasture area and Kennels for raising dogs. The Poultry Houses feature Rotem Controllers, Recirculating Systems, Radiant Heaters and Tunnel Fans Upgraded to Industry Specs. The Skid Steer and UTV also Convey with acceptable offer. We have an LOI in Hand from Mountaire as well. Country Living and the Ag Life are Waiting for You!!!" "23 Acres. Room for a horse or other animals. 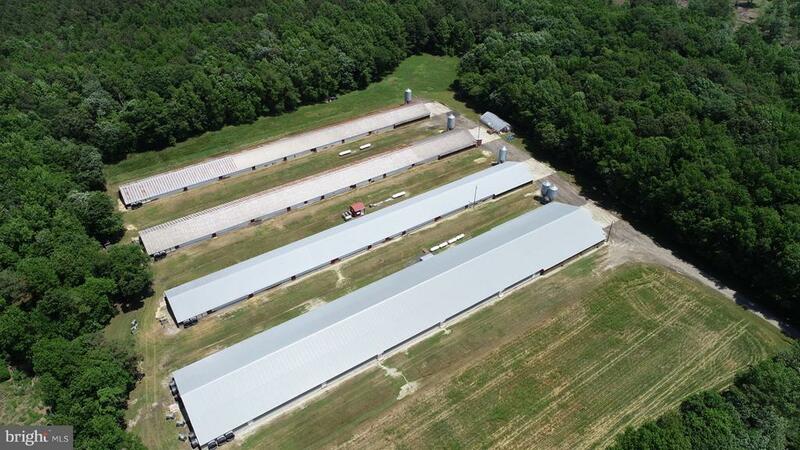 Three chicken houses: 42 x 500, 60 x 500 and 60 x 560. Was growing for Allen Harim. Not growing now." "Featured on DELMARVA OUTDOORS TV show..45 acres of prime hunting, waterfowl, quail, rabbits, turkey. 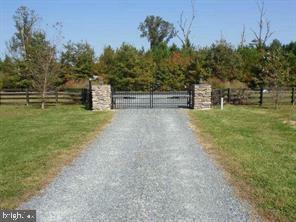 This is an Estate Farm..Security gate with remote access, spring fed stocked pond on property, hunting, fishing and more. Lots of wild life, deer, birds etc. Batting cage, hot tub, deer stands, inground duck blind access to the lake. 2 separate lots 33 ac and home sits on 11 ac"
"Words cannot describe the property as it speaks for itself. 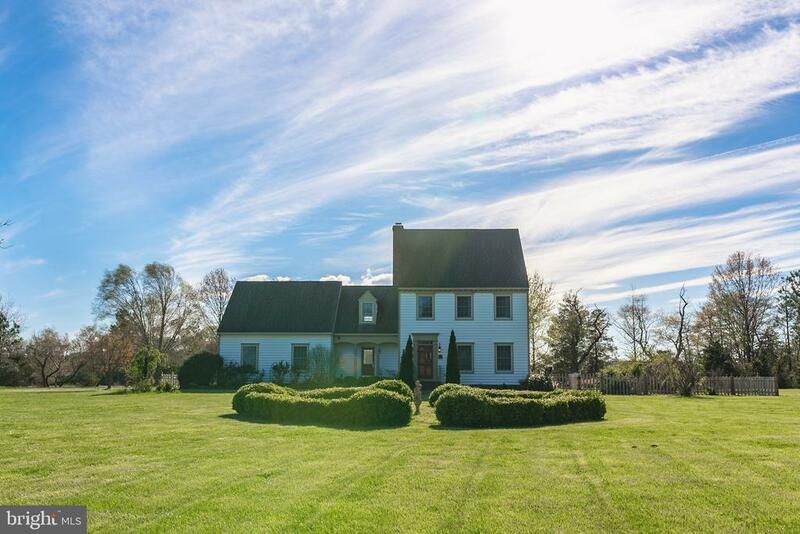 Immaculate 34 acre farmette with approximately 10 acres cleared, 8 acres in pasture with six strand high tensile steel fencing with solar charger, balance is wooded acreage . 30x40 Morton Building with concrete flooring, lighting and wiring, loft, 2 stables and work benches. 16x10 oak run in shed. 28 panel Solar array on back of barn which is owned. Home was built in 2008, one owner property, Spray foam insulation, sealed crawl space with dehumidifier. Attached two car garage which is insulated, and finished. Property consists of two parcels, Main parcel is 31.77 acres which is tax ID 09-085394, the other parcel is 2.05 acres tax ID 09-013687 for a total of approximately 34 acres. House is wired for standby generator. The residence offers a first level master bedroom with walk in closet and master bath has granite double sink vanity, tile flooring, and walk in shower. Hardwood floors in foyer, and dining room, Kitchen has tile flooring, granite counter tops, custom made oak cabinetry , under cabinet lighting, and recessed lighting, stainless steel appliances of which the range is a gas down draft range. Breakfast nook off kitchen over looking back yard and pasture area. Family room has two atrium doors that lead out to deck and a brick masonry hearth with a soap stone wood burning stove. 2nd level offers two spacious bedrooms of which each have oversized walk in closets." "Direct waterfront custom built home on deep water!! 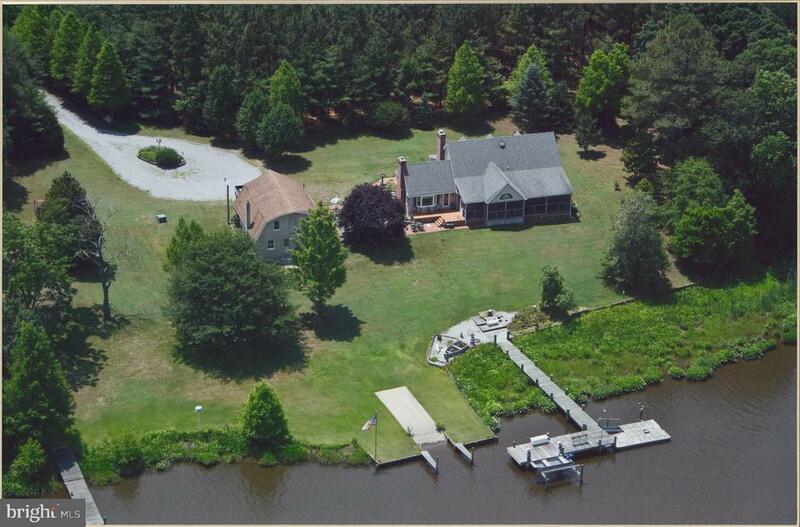 Nestled on over 4 acres, enjoy water front views from almost everywhere in this home on on your direct waterfront back porch! 200 plus ft pier, one level home with open floor plan and detached 800 plus sq ft garage workshop with power and heat. Secluded private location, but still close to everything. Enjoy everything water front living has to offer from your own backyard, this is a must see!!" "Stunning waterfront Twin Pines home on 13+ acres...your own Nature Preserve! Amazing panoramic sunset views from the home and property! Farmhouse Chic style defines this custom built home. 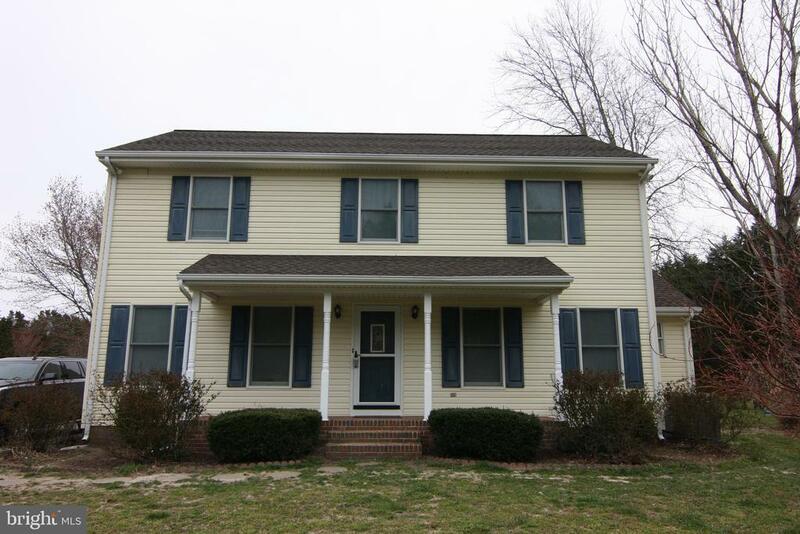 3 BR, office, 2 unfinished Bonus rooms, 2.5 BA approx 2400+/- sq ft. Updated kitchen with shaker cabinets, granite counters, copper sink and stainless appliances and built in desk area. Impressive 2 sided brick fireplace warms the waterfront kitchen area and cozy family room. The fireplace and wood beams in the family room highlight the perfect place to relax and enjoy the incredible views and sunsets year round! Beautiful refinished hardwood floors grace the first floor and stairs. Inviting dining area just off the kitchen with french doors opening to formal living room. Upstairs features a master bedroom with walk in closet. Master bathroom has glass and tile shower and jacuzzi tub, granite counters and a water view! 2 additional bedrooms, an office and full bathroom are also upstairs. There is a large unfinished room accessible from the office and a sizeable walk up attic both of which could be finished to expand living areas! Updated hvac system upstairs, updated lighting fixtures, new washer and dryer. Shared driveway/lane passes by several acres of wooded area, then opens up to the cleared spaces where the breathtaking waterfront and home are revealed! Beautiful trees and gardens grace the lawns around the home. Rear fenced yard and patio with sunken fire pit area are perfect for entertaining or relaxing and enjoying the abundent nature around this incredible home!" "NATIONAL GEOGRAPHIC SETTING ON THE SCENIC REWASTICO CREEK WITH DEEP WATER ACCESS TO THE BEAUTIFUL NANTICOKE RIVER. 6 FEET DEEP AT LOW TIDE. FISH AND CRAB FROM YOUR OWN DOCK OR SIT BACK AND WATCH THE EAGLES AND OSPHREYS FROM YOUR HUGE SCREENED PORCH AND DECK. ENJOY THE PRIVACY WITH YOUR VERY OWN MAJESTIC GATED DRIVEWAY. WONDERFUL HOME WITH LOTS OF UPGRADES/UPDATES INCLUDING: GEOTHERMAL HEATING AND COOLING, ALMOST BRAND NEW STAINLESS STEEL APPLIANCES, HARDWOOD AND CERAMIC TILE FLOORS, FIREPLACE WITH GAS INSERT PLUS A SECOND GAS STOVE, PIER, BOAT LIFT, WALKDOWN RAMP TO ANOTHER FLOATING DOCK, CONCRETE BOAT RAMP, 32 X 28 2 CAR GARAGE WITH AN AWESOME SHOP AND AN UNFINISHED AREA ABOVE. 5+ ACRES OF FOREST. BUYERS CAN OPT OUT OF FOREST STEWARDSHIP PLAN. ASSUMABLE VA MORTGAGE AT 3.5% . YOUR DREAM HOME AWAITS." "This is an amazing opportunity to own a custom built home by the owner, a well sought after contractor, known for quality. No holds bar on this build! This house displays quality in all its nooks and crannies. This gorgeous Cape Code has an eat-in kitchen w/ bow window to look out over the back patio and pasture. Step down into the large family room w/ Cathedral Ceilings & pellet stove. Maybe you want to enjoy the cold winter night by the wood stove in the four seasons room or the comfortable evenings out on the screened in porch w/recessed lighting & ceiling fan. Have your pick to enjoy those fantastic day/evenings while relaxing and watching your horses in one of the many areas to sit, front porch, gazebo, back patio or screened in porch! The main floor master is something to behold with a huge walk-in closet and en-suite with it's very own toilet room! Brand new claw foot tub with chandelier is in the process of being installed. You will see all the houses character as you enter into the front foyer! Your eyes will be drawn to the subtleties that add value and story to this charming home. Some of those areas are: custom extra wide trim with rosettes throughout the home, solid wood doors on the main floor, pocket door in just the right location. The gorgeous Newell Post that invite you into the center of the home. No doubt that you will feel the warmth of what your family can experience when you gather in this home. Are you a horse lover? With 10+ ac in pasture 2 barns and 7 stalls total you will be able to enjoy your equine partner for years to come, Ample pasture to be able to rest and grow. 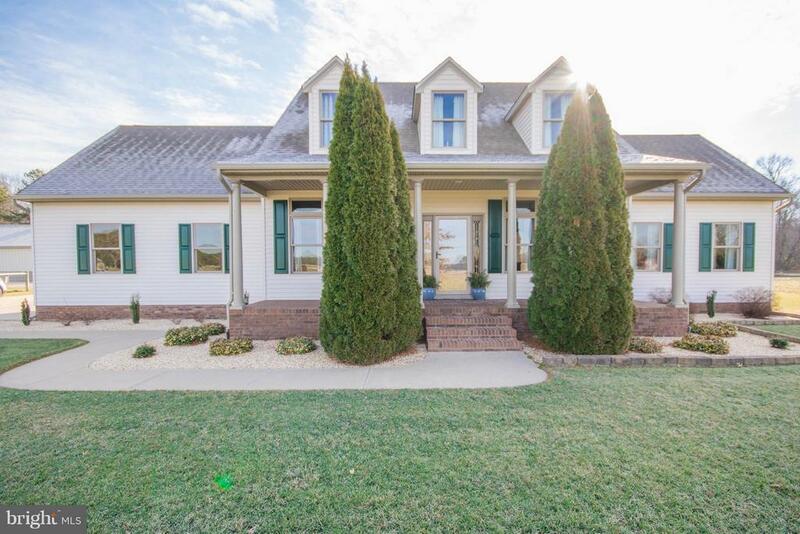 Pecan Tree Farm will give you that country feel but the convenience to town. 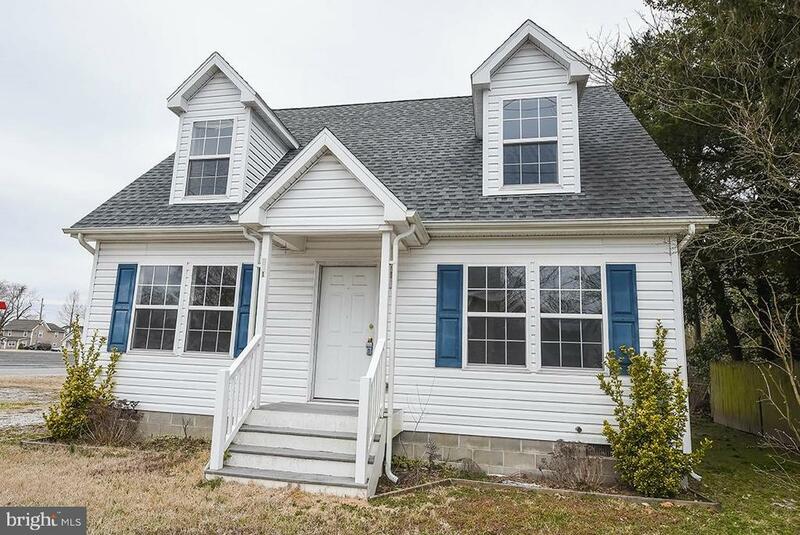 Just over a mile off RT50 you are just 30 minutes from Ocean City and 1+hr to the Major Cities. What else could you ask for that country serenity with access to all the fun that your family can imagine!" "Beautiful home on almost 20 acres ! in Hebron/Mardela area. Owner built with details well thought out, very rustic but with all the modern conveniences and then some ! One of the fireplaces is in the center of the open floor plan, the fire swirls !, kitchen has etched glass panels on the cabinets with Eastern Shore scenes, stainless steel counters and appliances, including 6 burner gas stove. All bedrooms have walk in closets! (3rd bedroom with private bath is separate at this time but owner can reopen easily, to view for now you go out the front door, go down the deck and enter that private bedroom, it will be opened back up so that entrance can be made from the living room, right now being used for in law quarters) Family room on ground level has supplemental heat and A/C . Outside deck goes around 3 sides of the home with an inground/above ground pool. It is impossible to list all this home offers, you have to see it to believe it! Seclusion at its best!" 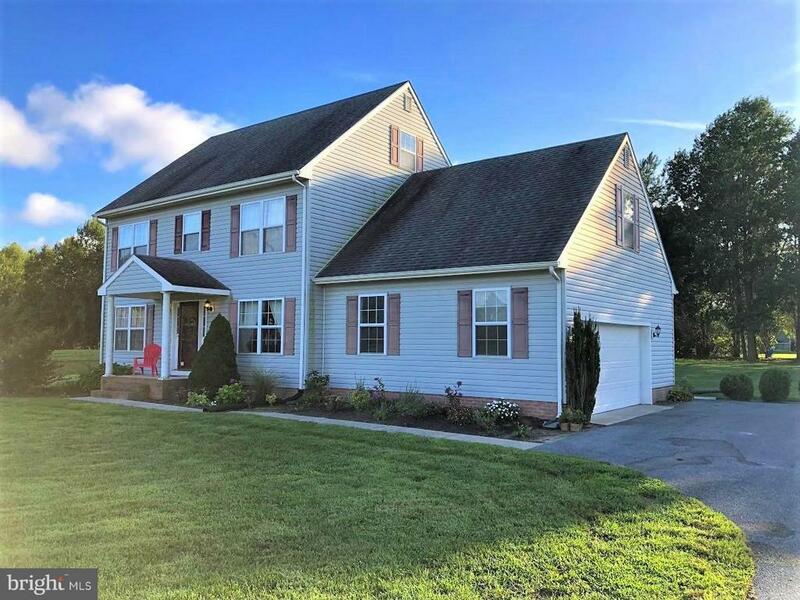 "Inviting and flowing floor plan in this well maintained Colonial home in Quantico Creek Estates. Beautiful hardwood floors in the main living areas, inviting open kitchen, and second floor master makes this a must see! Home sits at the end of a quiet cul-de-sac. The outside is enhanced by in-ground irrigation and a long paved driveway. Endless backyard possibilities on the new concrete patio! Unfinished 3rd Floor enough square footage to add two more bedrooms." "Nice 3 bedroom 3 bath home move in ready. This home has an open floor plan with large kitchen and formal dining room. Laminate floors thru out home with Cork floors in bathrooms and utility room. Large Master Bedroom with walk in closet and remodeled bathroom. Large yard with deck and paver patio. Home comes with above ground pool and play set. Central AC with Heat Pump upstairs and Central air &Gas heat down stairs. New Roof just put on !!! Located in a private country setting in Hebron and is part of the Misty Creek Development." "Room to spread out! 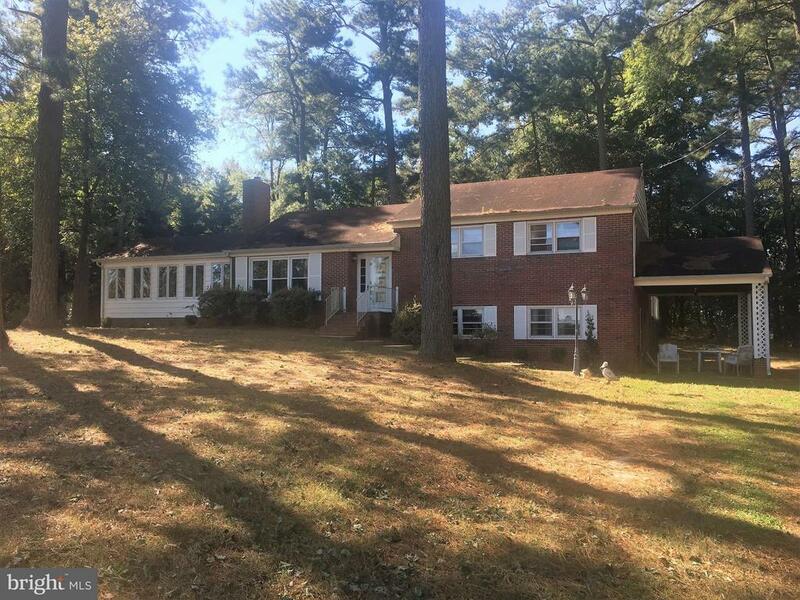 Large split level home on over two acres of land. Enjoy your morning coffee on your shaded deck overlooking your private backyard. Secluded, but only minutes from Salisbury shopping and dining. 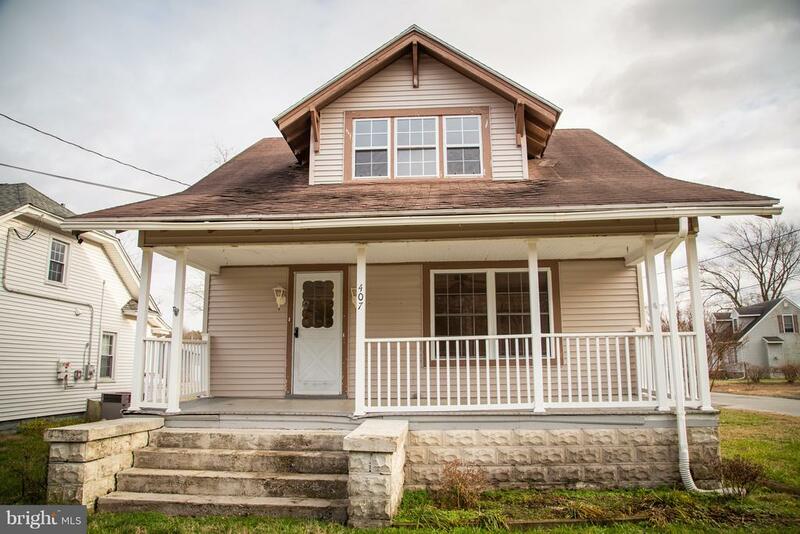 Come make this house a home! Would make a great investment property. Property is currently rented for $1500/month." "Westside and Mardela Schools! 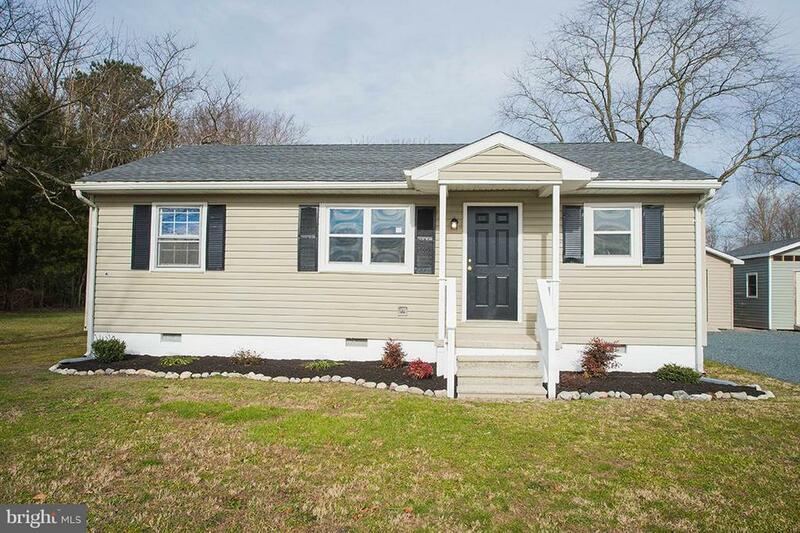 Come see this completely remodeled 3 bedroom, 2 bath two story home located on a quiet street in the Town of Hebron. Large family room with sliding door exit to newly constructed deck and large backyard. Master bedroom with master bath and a bonus room that could serve as an office or changing room. A true Must See." "Cape cod on a corner lot in Hebron with large garage/outbuilding. Large bedrooms, open kitchen living room concept and so much more, outbuilding needs some work, but main property is in good condition." "Recently renovated home in turn key condition! 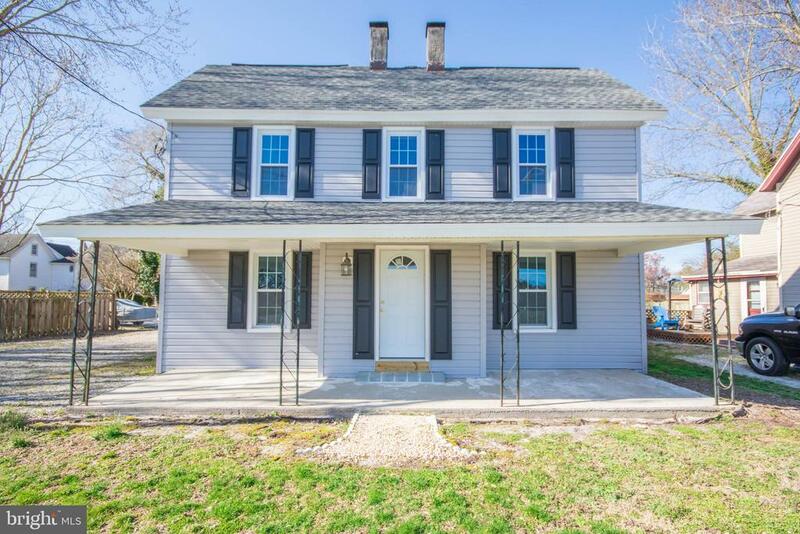 Everything is brand new including: brand new flooring, new kitchen cabinets with stainless appliances, new paint, new windows, new roof-HVAC and so much more! Price to sell and ready to move in." 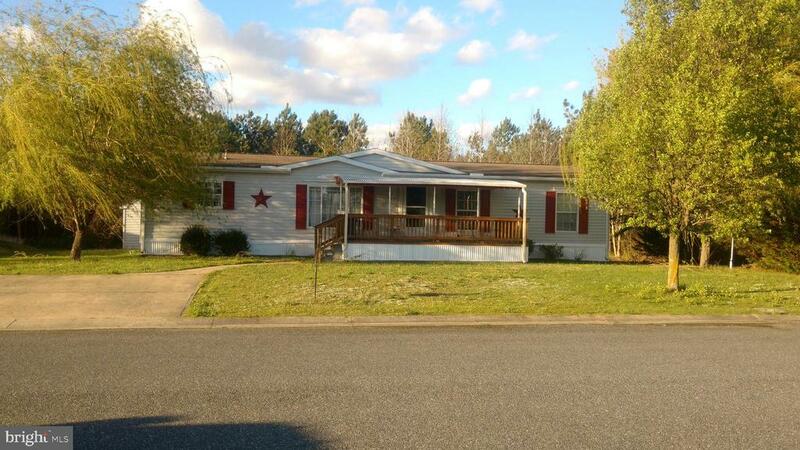 "Check out this charming 1,206 sq ft property in Hebron! It has 2 bedrooms, 1.5 bathrooms. The dining and living room have beautiful flooring! 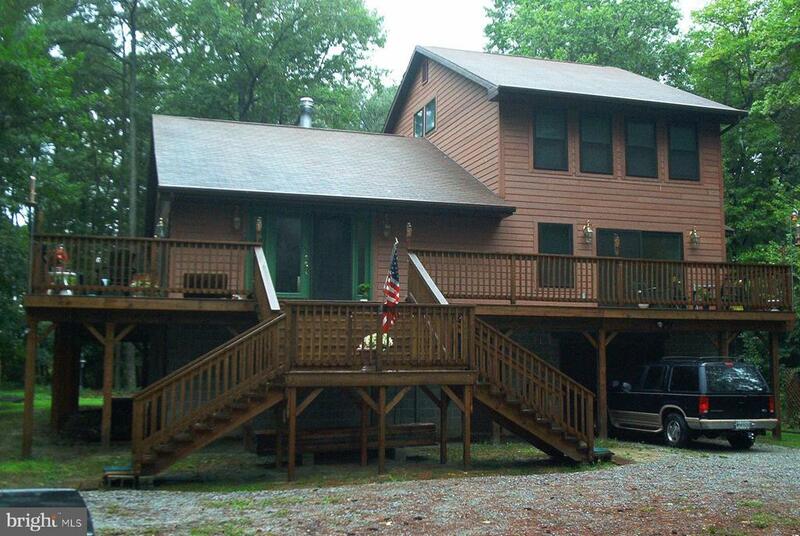 This home sits on a .17 acre corner lot and has a front porch and rear deck, perfect for watching the fireworks! Additionally, this property has an above ground pool, fencing and a storage shed!" "Two meters, Two appartments. Downstairs Unit LR 14x8. Kit 12x10 with 1 Bedroom, and 1-2 Bedrooms Upstairs. Great monthly cash flow. Washer/Dryer hook-ups in both units. Live in One Unit and Rent the second one.The house Is Sold As Is Buyers can have a home Inspection, but Seller will do limited repairs." "Nice 3 bed 2 bath all drywall home with pond views from the covered front porch in the very well maintained community of Hebron Woods. Home also features a four season sunroom on the back with covered decks front and back. Spacious shed with a work shop and plenty of storage space. Sit on the front porch and watch the waterfowl in the pond or wet a line and catch some fish. Schedule your showing today. Home in need of a little tlc."